Abyei dispute: Sudan ‘to withdraw troops’ | Life is short,have fun!!! “Sudan will begin pulling its troops out of the disputed border region of Abyei on Tuesday, an army spokesman has said. Abyei is claimed by both Sudan and South Sudan, which became independent in 2011 after a long civil war. Sudan’s forces seized Abyei in May 2011. Its status was left undecided in the 2005 peace deal between the sides, and a referendum on the issue has been postponed indefinitely. Peace talks between the two states are scheduled to begin on Tuesday. In the talks due to be held in the Ethiopian capital Addis Ababa, the two countries are expected to cover several border disputes that have caused friction, including Abyei. Sudan has decided to redeploy its troops out of Abyei in order to “offer a good environment for the talks”, military spokesman Sawarmi Khaled Saad said in a statement quoted by the AFP news agency. He said Khartoum was responding to a request from the talks’ mediator, former South African President Thabo Mbeki. It has also asked for a “guarantee” recognising that Abyei is part of its territory, the spokesman added. The Sudanese military spokesman avoided the word “withdrawal” – “redeployment” sounds so much less like a defeat. Certainly, if the Sudanese troops do leave Abyei – and many in South Sudan will be sceptical until it actually happens – Khartoum will negotiate from a weaker position. But the Sudanese leadership is clearly hoping to burnish its reputation with this decision, which comes the day before a meeting in which progress – or not – on the African Union’s roadmap is to be evaluated. There is also the prospect of UN sanctions for any failure to make real progress in the negotiations. There are strong feelings in both countries about Abyei. The Misseriya, a Sudanese group, take their cattle through the region every year. The Dinka Ngok, the permanent residents of the area, want Abyei to be part of South Sudan. But even if from now on the only troops in Abyei are UN peacekeepers, the underlying problem of how to decide its future remains. On Sunday, former US President Jimmy Carter said after meeting Sudanese President Omar al-Bashir that Khartoum was ready to pull its forces out of Abyei. Tens of thousands of civilians were displaced when the Sudanese army took control of the region in three days of clashes with South Sudanese troops in May 2011. The dispute in Abyei is rooted in ethnic conflict between farmers from the pro-South Sudan Dinka Ngok community and the pro-Sudan Misseriya nomads. In April, cross-border clashes centred on the neighbouring oil-rich region of Heglig brought Sudan and South Sudan close to all-out war. South Sudan says Sudanese warplanes bombed several locations on its border, although Khartoum denies this. The same month, the South’s troops occupied Heglig for a week. It said it pulled out in response to international pressure, but Sudan said it reconquered the territory. The UN Security Council has called on both countries to cease all bombing and cross-border fighting, and to return to talks aimed at resolving their outstanding disputes. 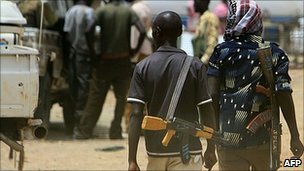 Security is a key issue, and one that Sudan says must be resolved before anything else, the BBC’s James Copnall in Khartoum reports. Outstanding issues also include oil and the situation of the estimated half a million South Sudanese still living in Sudan, our correspondent says. But the level of distrust between the two sides is considerable, and rapid progress on the many areas of substantial disagreement is unlikely, he adds.